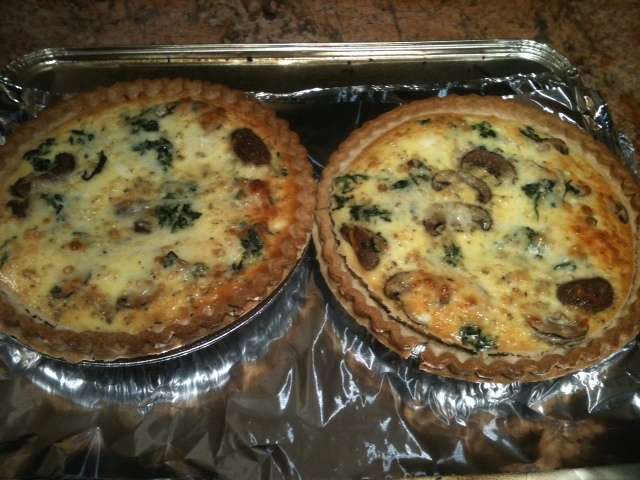 One of my favorite things to eat and make is quiche. I have a very easy recipe that I’ve been using for several years. I found it in an old recipe book. Over the years I’ve adapted it so that I can make something easy and I can use any number of different fillings. To begin with, you need your ingredients. Okay, don’t mind the large black kitty. He’s my assistant. It’s not easy cooking with 5 cats running around. 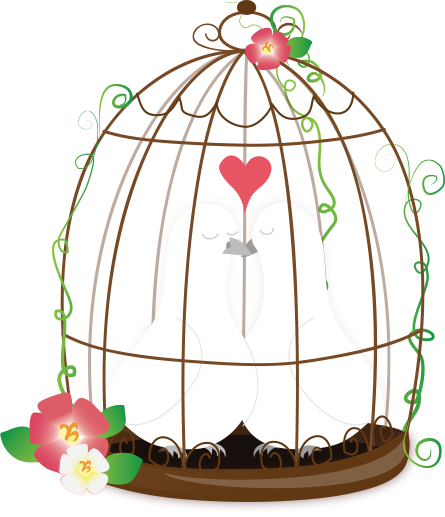 I always try to by cage-free. 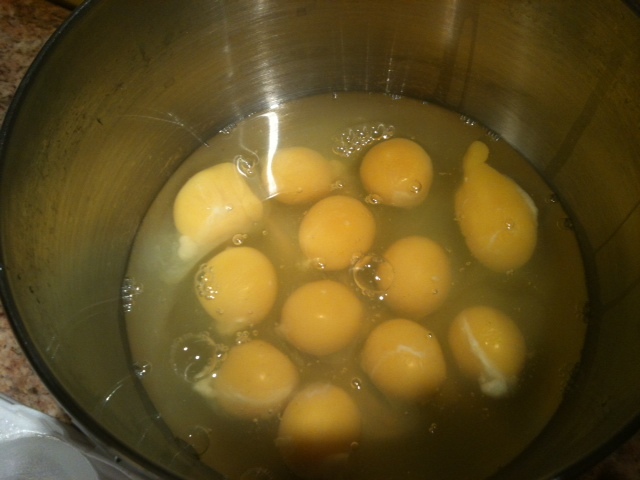 Add a dozen eggs in a bowl and beat as though you were making a very large omelet. For a very hungry giant. After you beat the eggs, you add a half-pint of heavy whipping cream. Make sure it’s heavy and don’t add more than the half-pint. Then you add your spices. 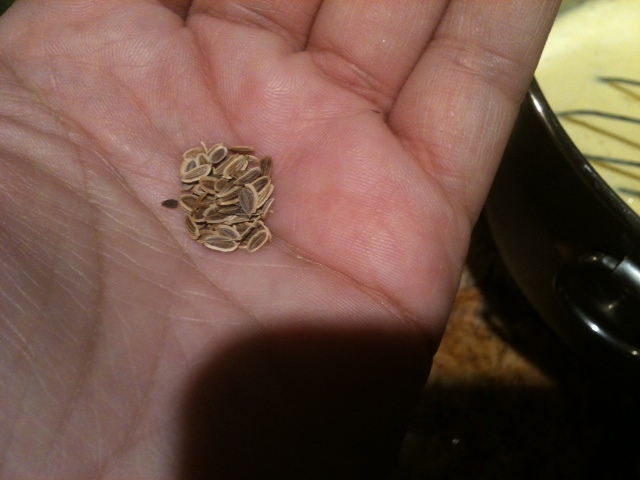 These are dill seeds. Or are they fennel seeds? No, sorry that’s dill. I suppose you’d say that’s a good dash. I add a little more fennel, because I like fennel, but you can play with it. You really can add any of your favorite spices. It’s all about experimenting. I also added just a shake of white pepper and oregano. I didn’t add salt, simply because I’m not a big salt eater, and with everything else I added, it’s flavorful enough for me. 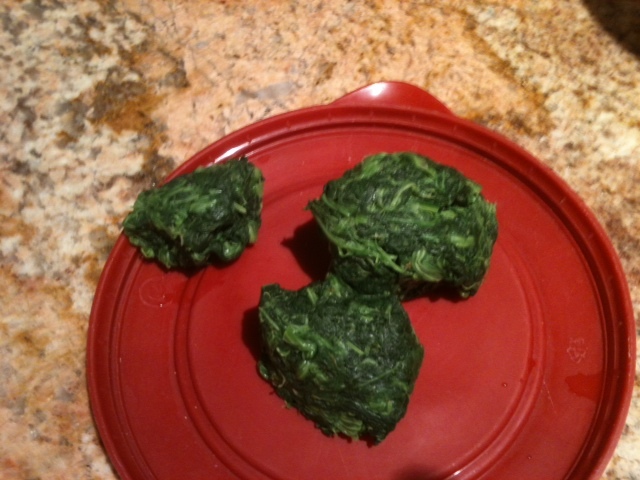 I buy the small blocks of spinach from the freezer section. I’ve also used the packages, which is easier because you can add them directly from the package, instead of having to thaw it out and squeeze the water out. 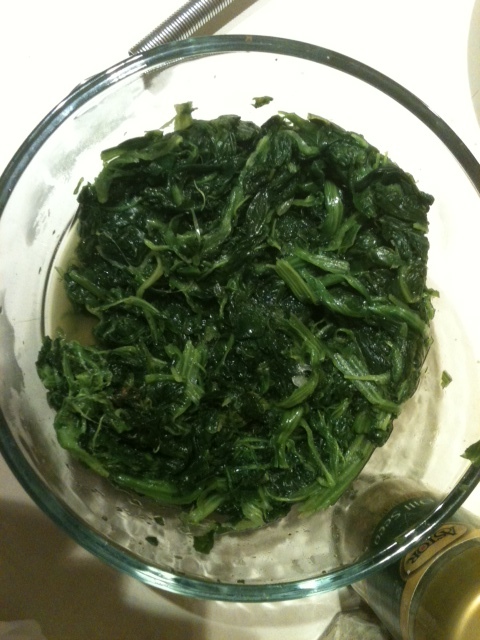 This is the block of spinach after I squeezed the water out. It doesn’t look like much, but it’s plenty, believe me. 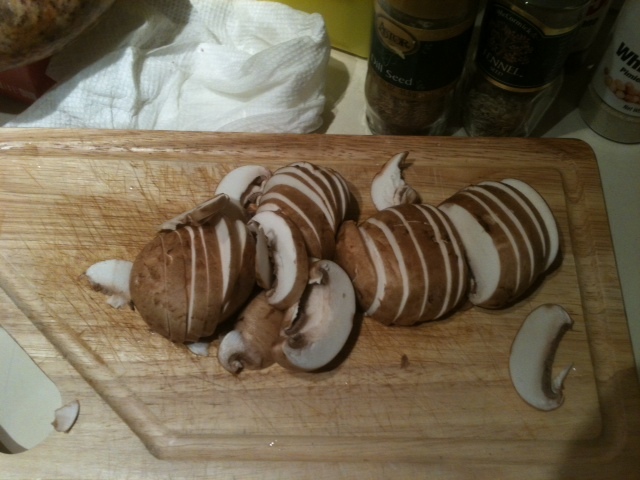 Mushrooms. Not too thick cut, but not too thin either. 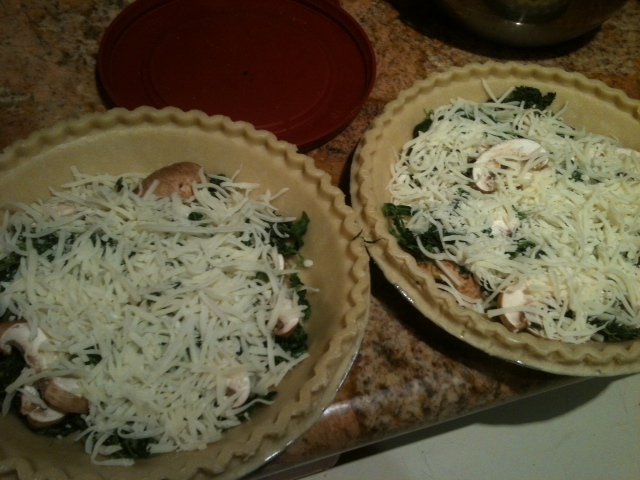 I put the spinach in first, then add the mushrooms and lastly the cheese on top. I would say I add about a little more than half a cup of shredded cheese to each quiche. But again, it’s up to you how much cheese you like. 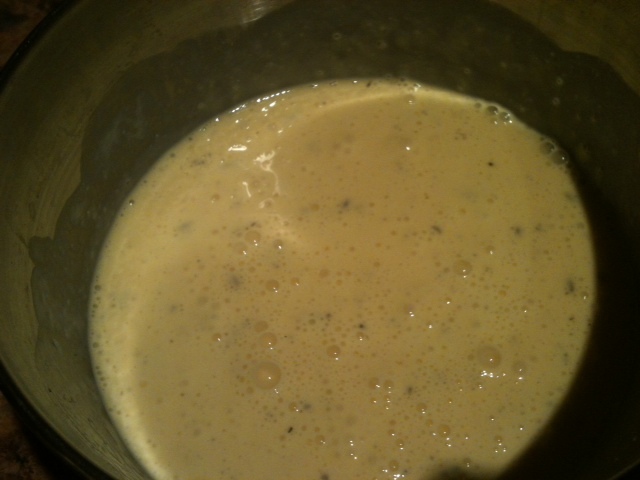 I add the egg mixture with a ladle. I add one ladle at a time to each shell, so that they each get the same amount. 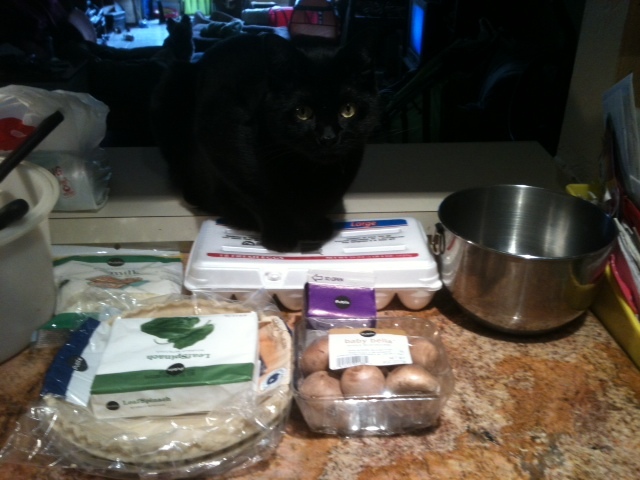 The ingredients will yield two quiches. Pre-heat your oven to 400 degrees, and then bake for 35-40 minutes. With my oven, 35 minutes is perfect. 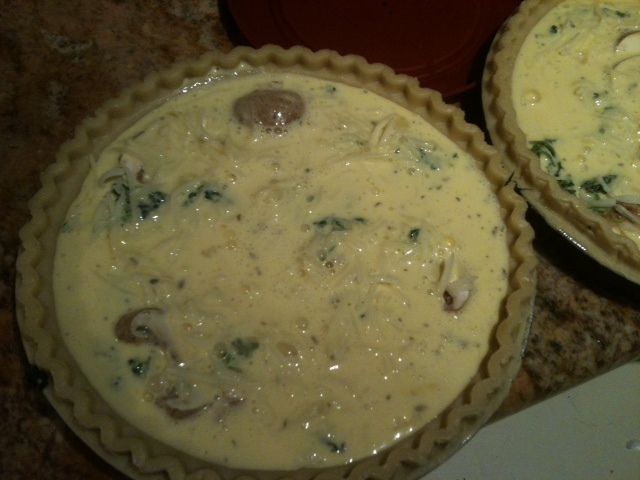 The quiche comes out moist, not too dry. It should not be too dry if you plan on re-heating in the microwave. And don’t worry about the pie shell being yucky if you re-heat in the microwave. I do it all the time, and it comes out fine. Just be careful and nuke the suckers in 10-15 second intervals. And here you have the finished product. That’s how you want it to look, a nice light golden color. I love this because as I’ve said before, you can add anything. I’ve made this with tomatoes in the past, I’ve also made them with asparagus. You can add meat if you like as well. Experiment and add things you like. This is a breakfast, lunch and dinner meal and it is very satisfying. This keeps well, covered in the fridge for about a week. 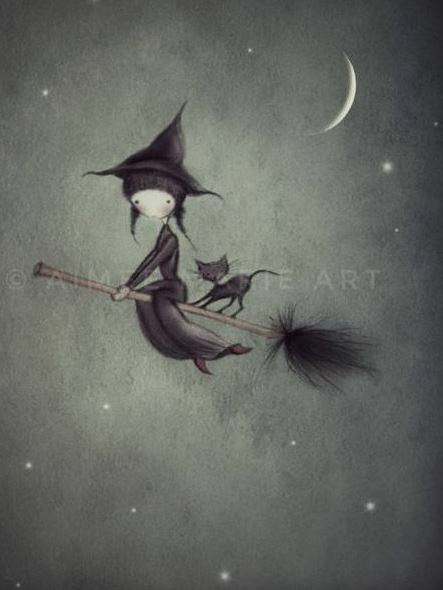 I hope you make this and enjoy it! This is my recipe, but I’m still giving it 4 tuna cans! It’s awesome!